A new way to dress up for Christmas. 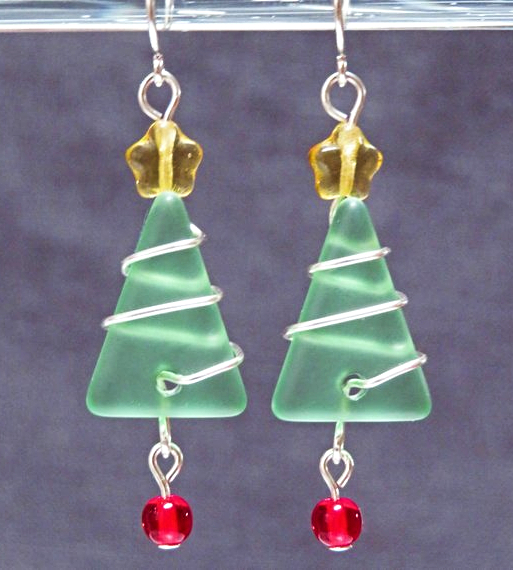 Beautiful colorful seaglass Christmas tree earrings in a variety of styles. Earrings are made with seaglass beads and wire wrapped with non-tarnish silver plated wire, complimented with beads and glass stars.